Writing Archives - Page 2 of 2 - Adventure, baby! Pitching for freelance writing can be a scary thing to do. No one likes being rejected. After giving this freelance writing thing a good go for the best part of a year and a half now, I can tell you that it does get easier. All of it. The cold emailing. The pitching. And even the rejection. Somewhere along the way of sending out too many introduction emails and pitches to count, I suddenly stopped taking it personally if I didn’t land a job. The thing is, working for yourself is a very personal thing to do. When you pitch stories and ideas, you’re also pitching your skills and experience, so it can feel like a very personal rejection if you’re turned down. What you have to remember is the person you’re pitching to is usually a paid employee of a large company, and they are juggling many freelancers and staff, as well as deadlines and articles of their own, plus reporting to their bosses. To them, your pitch is just a tiny cog in their daily wheel – something they are used to dealing with day in and day out. To them, it’s just work. It’s not personal. If they don’t reply to your email, or dismiss your ideas, it’s not personal. They’re just doing their job. The lesson for me in this was to not let rejection destroy my self confidence. After being rejected or not hearing from a potential client, I will still go back and try again if I think it’s worth the business. Even if my idea has been shot down, I will still do it, because it’s through perseverance that we succeed. Lovely to e-meet you. 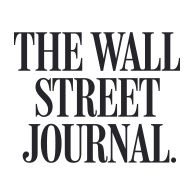 I love “Mum Business Magazine” and am interested in freelance writing for you. I am a professional writer based in Sydney, Australia. My articles on parenting are regularly published on sites such as the Huffington Post and by businesses such as Fisher Price. You can see my published work portfolio and resume for more information about my work history. I would love to pitch ideas for articles at “Mum Business Magazine”. Can you please send me your submission guidelines. Thanks for your time. I look forward to your response. No one has time for long emails. Keep it brief. 2. What can you offer? What experience do you have? Why are you right for their publication? Make it easy for the person to find your most important work examples, resume and work portfolio. Submission guidelines will include what topics they accept work for, the word count, if they want photos, if they pay and what the pay rate is. If they don’t have an official guidelines document usually your reply will include at least a few lines that will cover this. Hope this helps you work up the courage to pitch for paid freelance work. Let me know what you would like me to write about next. There are already so many great articles out there about how to monetise blogs, that I’m not going to cover the same ground. Not every blogger is going to make it big, or make a 6 figure income from blogging, so I’m certainly not going to say that any blogger can use these methods to make money, because it’s just not true. Many other aspects come into play when enabling a person to make money from blogging. Instead, I’m going to talk about my thoughts on it all, and what works for me. 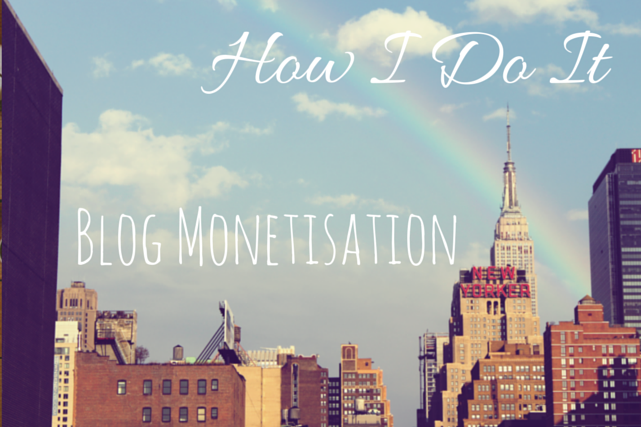 Briefly, here is a description of the main options for monetising blogs. I like how they are grouped into the four areas. Thanks to Blogger Holy Smithereens at the General Assembly and Etsy blogging night for this idea. 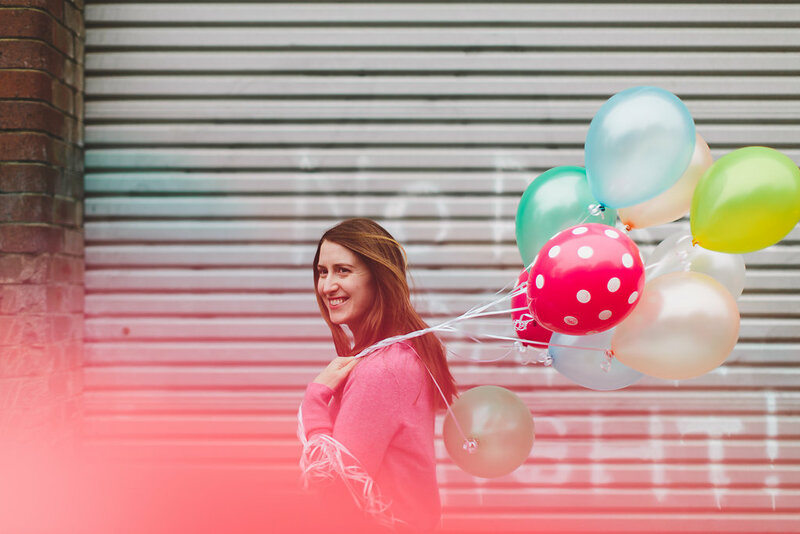 If you’re after a full run-down on ways to monetise your blog, head over to ProBlogger and this post on 60+ ways to make income from your blog. When you’re starting a blog, your traffic is going to be pretty small. Even if you’re been blogging for a while, your traffic might still be small, which is ok. It does rule out generating decent money from avenues that require more traffic though, such as the advertising option. And while some brands are willing to pay sponsored posts for blogs with very little traffic, most are not. I’ve had the most success is with the “services” section. I have had an occasional sponsored post, but with my blog not generating huge amounts of traffic, I’ve had a lot more success making money by using my blog as showcase of my writing and photography ability to help me get paid work as a writer. 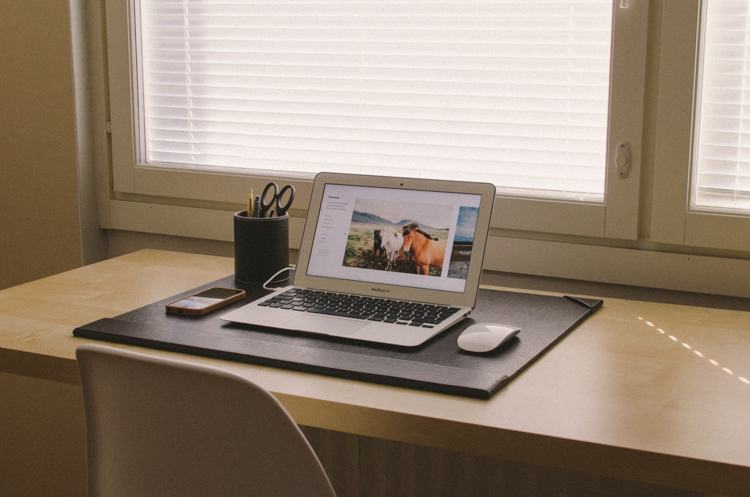 A blog can be an extremely good way to promote your skills to prospective clients. You can point back to your blog to show prospective clients your writing style on relevant topics. I certainly used my blog to start pitching my ability to write parenting and family-travel articles. 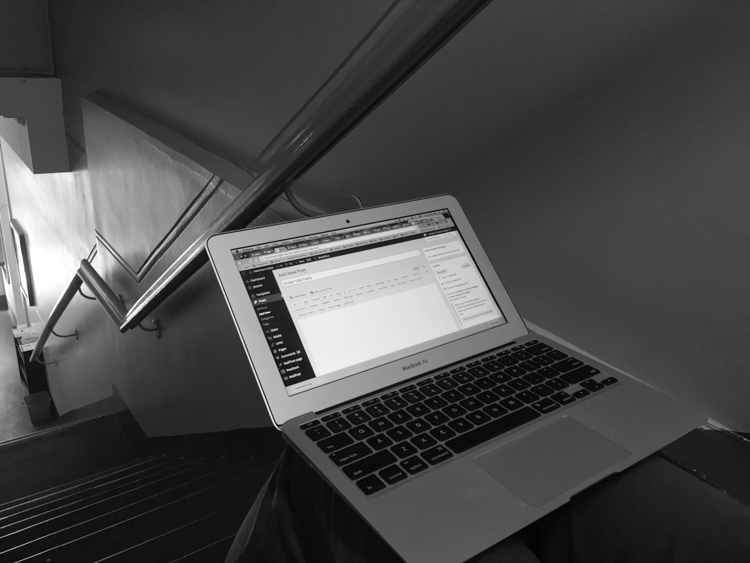 Want to get freelance writing? Here is my advice. There’s no fast road to the top. I started by contacting a few websites I wanted to write for, and emailed their contact listed under a “submissions” or “contact” section. As I knew these websites wanted submissions, it was a bit less scary to contact them cold. I did a few articles here and there in the topic areas I wanted paid work for free to give myself a few pieces my resume before contacting slightly larger sites for paid work. Even though I wasn’t paid, I still had to do the whole pitching process and write something decent to get it published. All of my published work links go onto my portfolio website, which was easily set up in WordPress. I update it with every new piece of writing I have published so it’s always up to date if a potential employer looks at it. One of my best writing gigs came through company who contacted me after seeing my blog and wanting similar content for their own site. The initial proposal for our partnership wasn’t quite right but, a year or so later, a blogger friend was employed as their editor and immediately thought of me as a good fit as a paid writer. This was a serendipitous meeting of two contacts that I kept on good terms paying off at the same time. So even if you are approached for something that isn’t quite right, be sure to part on good terms as you never know what benefit will come from the relationship down the track. People won’t know you’re after freelance work unless you put it out there. If you have any friends, or even old work colleagues, who are in areas where you want freelance work, email them about it. Let them know you’re looking for this kind of work and you’d be very grateful for them to put you in touch with whoever hires/commissions freelancers in their business. The majority of people will respond positively to this kind of request as it doesn’t put any pressure directly on them to find you work – only to make an introduction. Remember to pay back their helpfulness by throwing useful information or contacts their way in the future. The next step is what I found to be initially the hardest. As an introvert, I struggle with talking to people I don’t know, or approaching people who are strangers. If I wanted work though, I had to get over this quickly. I listed myself on some freelancer websites (some came through with sporadic work, some didn’t), and started building contacts to grow my work portfolio. If possible, in person is always the best way to make a contact, as you’re a face then, rather than just another anonymous email coming through. Networking events and conferences where editors from publications I wanted to write for would be attending were right up there on my agenda. I was terrified about speaking with the editors or business owners, but I rehearsed my elevator pitch, kept it short, and asked for their card. For the majority of publications however, I simply cold-emailed them. Do not be scared to do this! It does get easier over time. Some I found the direct information for their editor either through their website or twitter. If you find the editor on twitter, tweet to them, asking for a submissions email address. You can also look for an “editorial” contact email listed on the website. The key to landing work is to pitch a LOT. You might send out 10 pitches one week, and only hear back from one. The key is volume. That way the rejections and lack of response won’t feel as personal, either (which they’re not!). Editors can receive hundreds of pitches a week. Emails fall through the cracks. Follow up a week later. Persistence often has landed me writing gigs that otherwise wouldn’t have happened if I’d been too scared to send that second email. I have a spreadsheet where I have contacts and info on where they work, who they represent, when our last contact was and what the pitch status was. I also have a spreadsheet for commissioned work, due dates, payment and pay dates. It helps to keep on top of everything. Every Sunday night I look over the sheets to plan my next week. I hope this information is helpful! I’d love questions from you on what topics I should cover next. Thank you for reading and good luck with your own freelance endeavours. Like many women I know, after having a baby I wanted to change my career direction. In my pre-baby life I worked at Google Australia in publisher management and digital marketing. It was a wonderful place to work and I learned a great deal about online marketing. In late 2010, my husband, Alec, was offered the opportunity to work at a startup in New York City – somewhere I’d always wanted to live. The same week, we found out I was pregnant. Alec took the job and a few months later we moved and I quit my job. Moving country and preparing for the baby became my new job, and then motherhood when Baby arrived. I’d already been blogging casually for about four years at that stage, and when we moved to the US to I started to document our expat experiences, and then my pregnancy and new life as a parent. Without a job and itching to keep my brain active, I upped my blogging game when Baby came along, starting to take it more seriously. I started working on a site with a friend in NYC on kid-friendly dining that expanded to cover other destinations in Sydney and Singapore. I got active in the local blogger community, attended blogging events and started to connect with brands and other bloggers. At night I read about SEO and stumbled my way through building a self-hosted WordPress site. I also began to put my digital marketing training into practice, working on growing social media channels and subscribers to increase traffic to my blog. The SEM (search engine marketing) experience at Google really helped me to naturally be able to write well for SEO (search engine optimisation, or how to show up in the search results on Google), and I saw organic search becoming a big source of traffic to the blog. After a while I felt ready to start working again in a small capacity, so I put together a simple WordPress site as my online writing portfolio and resume to send out to prospective employers. By this time I had written guest posts for a lot of other sites, too, and also had quite a decent amount of published work from my first few jobs in the editorial departments of Australian lifestyle magazines, plus from my work in marketing at Google. 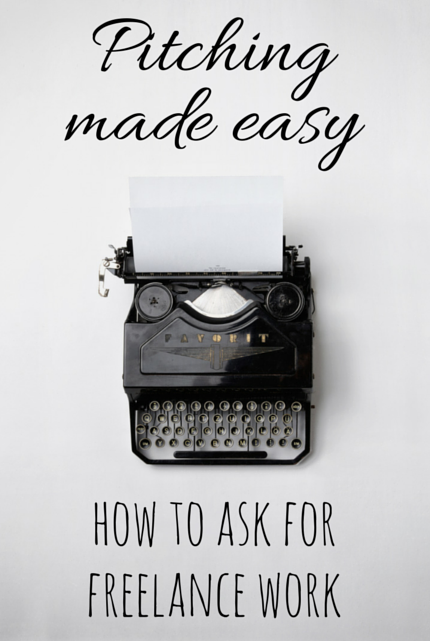 All together, it was enough to help me start getting a few freelance writing jobs. Work started coming through all kinds of sources. People approached me through the blog, and I signed up to Contently.com and received work through that for Fisher Price and Electrolux. Most of the work I have taken on, however, I’ve had to really put myself out there for. I cold-emailed publications after asking for the editor’s contact details, and then pitched the publication ideas for articles. I also attended events where the speakers worked for brands or sites that I wanted to work for, and approached the people after their talks with a quick elevator pitch and request for their business cards. After getting the contacts I was after, I’d research their publication and pitch stories. It’s time consuming, and there’s a lot of either no responses or straight out rejection. Some days it’s hard to get past this and keep up my confidence to continue, especially since I’m a bit of an introvert. What helps keep me going is when the articles I write perform really well, such as getting picked up by other publications like the Huffington Post and going viral. I also love the blogging communities I’ve joined, both in the US and in Australia. Bloggers are very supportive of each other, so even though I spend most of my work days at home alone with a computer, I feel strongly connected to other people in my field and don’t feel disconnected as a result. Taking the freelance route does not pay wonderfully well so far, but it’s rewarding in many ways. I make my own hours, and get to spend a lot of time with my daughter, who is now 3.5. I really enjoy what I do, too. 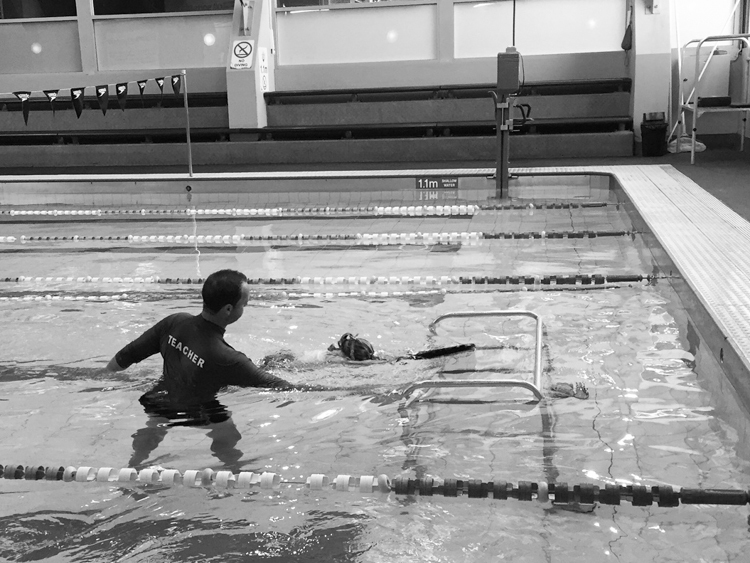 I get a lot of joy out of seeing my articles helping people – I feel like what I’m doing now has a lot of meaning. 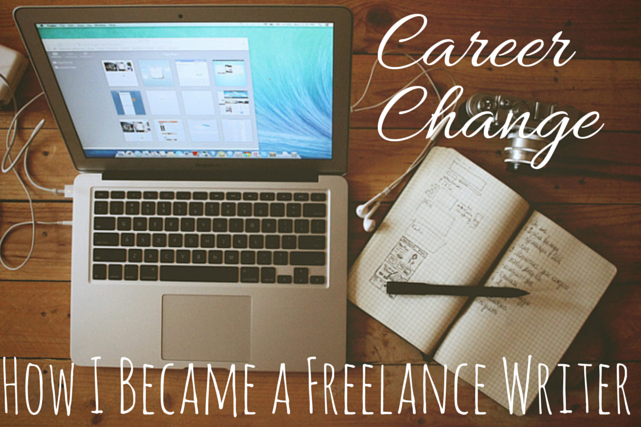 Are you thinking of making a career change, or trying freelance writing? I’ll be writing more in the coming weeks on tips to break into freelance writing, and other posts on what I’ve learned about digital media. If you have any questions you’d like answered, please email comment below or email me at adventurebabyblog.com. This post was first published over on Thienlan.me. I see a lot of beautiful blog posts from travel bloggers (I’m looking at you here, Girl Tweets World!) who work from exotic locations on a regular basis. I thought today I would share a bit about where I generally work as it’s a lot less, um, fancy and relaxing. Here is an example of my week and how I get work done while working freelance and also being home with my threenager. Monday is ballet day and now that Cheese is in a drop off class, I can sit outside with my laptop and write while she is fluttering away. I set up tethering on my iPhone to give me a bit of internet so I can still get something done while she’s dancing. 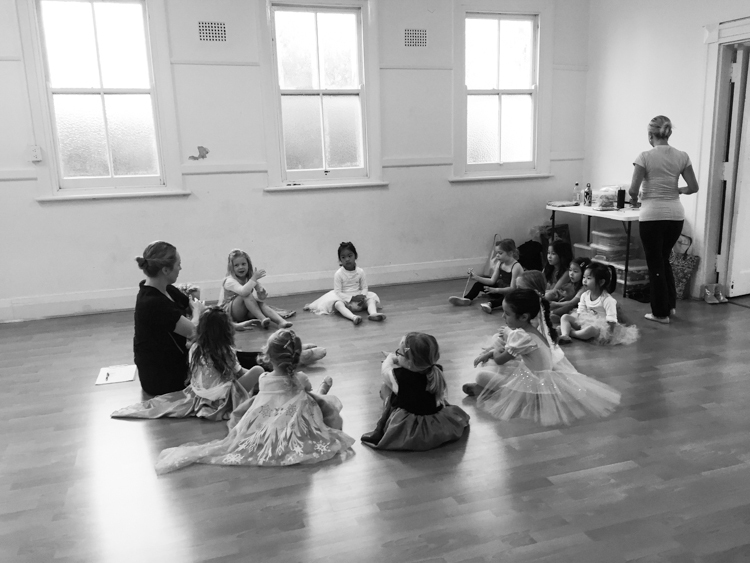 Since it’s school holidays, this week she has a special Frozen-themed ballet class, and while I’m trying to write, all I can hear is 15 preschoolers screeching “Let it gooooooooooo!” at the top of their lungs. I’m also sitting on a concrete step, which is getting colder and more uncomfortable by the minute. The rest of the day I put my phone and laptop down and take Cheese to see her grandparents or friends. Tuesday is swim day for Cheese and I sit on the side of the pool replying to anything urgent on my phone, jotting down article ideas and following up on pitches while simultaneously telling Cheese to put her bottom on the pool step and to stop squirting water out of her mouth at the kid next to her. Tuesday is, obviously, not a work day. After swimming we often go to a playdate, playground or park. I love how in Sydney we can be outdoors all year around, except for the torrential rain days. These are my usual work days while Cheese is at preschool 9-3. 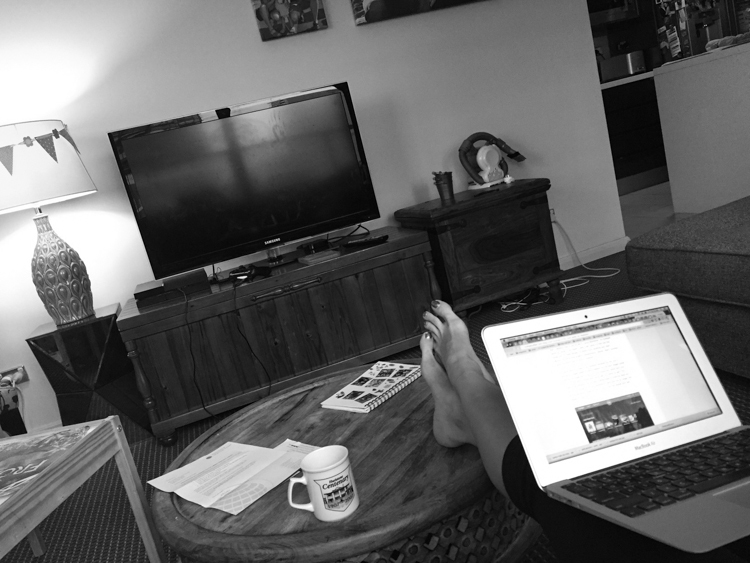 After a quick gym session (I’m loving the Ballet Barre classes), I work from my living room couch. I do not have a designated workspace as our apartment is just too small. My husband also works from home, so I do have an office mate to bother when I need some companionship, but I generally don’t see many other people except for Jayne from Girl Tweets World, who lives near me and has a similar freelance working schedule as I do. I do a lot after Cheese goes to sleep, pretty much every night of the week. This is when I work on social media, edit photos, finish up blog posts and reply to blog comments and emails. I try to switch off at around 9:30 and watch a TV show or read a book after that. Working freelance and from home is great in many ways. The absolute biggest plus is that is gives me so much freedom. I can spend a lot of time with Cheese, and also work towards my own career/business goals at the same time. I also set my own goals and priorities. While I do have clients I answer to for the work I do, I am the one who decides what i think is important to work on for my own progression, rather than having a manager tell me what I should be working on to benefit a company. On the down side, it doesn’t pay as well as a regular office job, and there is a lot of unpaid work that needs to be done, like pitching work, finding clients, networking to get more work, etc, and it can also get a bit lonely and disheartening if it’s a period of not much success. I find the best way to deal with this is meeting with friends when I can, particularly people who are attempting the same career path as I am. I’ve been thinking of launching a video or blog series on working as a freelancer, to give tips to anyone thinking of a similar path. I would love to know any questions you have about what I do that I should cover in the series. Linking up with Grace and Bron. Can Mums Ever Balance It All? I always thought I’d be the sort of mom who, after having a child and taking maternity leave, would happily go back to the office and resume her career. I wasn’t even that desperate to have a child in the first place. It was one of those things that I thought would be wonderful, to grow our family with a baby, but the priority in my pre-child life was always career and travel. But then I got pregnant just as my husband and I were making a huge life-changing decision—to move from Sydney to New York City. While I was hoping to transfer with my old employer to New York, a role never came to be, and I ended up resigning at five months pregnant. While my whole life plan was falling apart, I started a new life in New York City. And when the baby came along a few months later, life as we had known it really changed for good—and so did my old priorities. The first year flew by. I took care of our baby full-time and with no pressure of a job to return to, we were free to explore the city’s restaurants, museums, and parks. My kid went to more galleries in her first year of life than most people visit in a lifetime. And while my baby and I were getting to know each other, as well as the city, I discovered something unexpected. I didn’t want to get a job like I’d had before. I had absolutely no desire to leave my baby in care and return to an office job five days a week. Which left me where exactly? While I didn’t want a traditional job, I needed to do something for myself again as the newborn haze lifted and life became manageable again. My great passions are writing and photography—the two areas where I’d always thought I would end up working. But through various career twists and turns, I ended up in advertising. I enjoyed the life I had created, but it was far from my true love. This new beginning was a chance to explore what I really wanted to do in life. The first step was blogging about our adventures. Then, what began as a simple story about our lives in the city lead to other opportunities, like freelance writing. My new path opened up—the working-from home route had sprung up before me and it was both flexible and creative. My daughter started preschool a few half days a week, and suddenly I had time on my hands to pursue my new career while still be able to spend plenty of quality time with her. In order to make the work-from-home arrangement work, I adhere to a very strict work schedule—it helps to keep me on track. I allocated time for pitching articles to publications I wanted to have a relationship with, getting my foot in the door with new publications, following up on old pitches, actually writing articles, writing for my blog, building my social media presence, image processing and editing and all of the other administration work. If I don’t get everything finished while my daughter is in care, I get my laptop out again after dinner and spend another few hours trying to get everything done. Of course, life is busier than ever and I don’t get much downtime in the evenings. But the payoff is huge. My career is slowly building back up again, in a way that works around my own schedule, and I have plenty of time to be with my gorgeous daughter. While the money is a lot less, I’m honestly happier, and have found that my needs, cash-wise, are a lot less than they used to be. Some days I question my decision to take this path—days when there are epic tantrums, days when I have more work coming in than I have care for my daughter. And, also, when the opposite happens—days when I can’t get any work and I feel like this path is a failure. What works for me is focusing on the now. Every woman, man, mother and father knows that it’s impossible to have “it all”—all we can do it try our best to do what matters most to us. I keep my priorities front of mind to help create balance in my life. Enjoying the time with my child before she starts school is at the top of the list. There will be more time for work, more time to take a yoga class, more time to go back to the workforce if that’s what I desire. But for right now, this balance I have struck is enough—and life is good. Why do I write? The question actually is, why can’t I STOP writing? Since I was a small child, I’ve been obsessed with writing down my thoughts, daily events (today we got a new dog!) and feelings. I’ve dabbled in (bad) poetry, quickly abandoned diaries and short stories. Blogging was the natural progression of my obsession with words. I’ve often wondered why an introvert like myself likes putting her most personal feelings out there on the internet for everyone to see, when I have trouble talking about the same things in person with close friends. I can only describe writing as a cathartic process, something that makes me feel like once I have put these feelings on paper (or blog) that they can be washed away and the next day can start afresh. I’m obsessed with recording life. Photographs litter my drawers, thousands of images clog my hard drive. Boxes of diaries with only a few entries are stacked in my wardrobe. Blogging is such an easy way to capture memories as well as feelings, and to put them somewhere that they can’t be lost. I’ve always found it easier to express myself in writing than through speaking. A sensitive, anxious child grew into a guarded adult who prefers speaking to the void of the internet than looking into the empathetic eyes of friends when talking about things that are hard. Typing the words is somehow easier than saying them. Writing enables me to distance myself from emotions and articulate myself in a way I’m unable to otherwise do so. Writing for me is like breathing. I write every day, even if it’s just an epic email to a friend. It’s no surprise that I prefer texting to voice calls, and emails to Skype. The written word is essential.